Do you want to remove your name from any social network (Facebook, Twitter, Badoo etc.)? Someone has created a profile and speaks ill of you or your brand? Do you need to remove all traces urgently? Is there a comment on a forum or blog which is damaging you? We will delete it from internet. 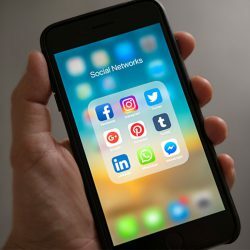 There are common cases in which someone can find himself in any of these situations, it comes from the exponential growth of social networks, blogs and forums. The evolution of the Internet, is now much more dynamic, and new content is generated every second by anyone, creating thousands of disagreements for the content remain, or not, active. That’s why in Eliminalia we believe in the necessity to manage content about any a person or company in an injury, an injustice, or any situation that inhibits the personal or professional life move forward. We are specialists in dealing with the many social networks that exists. Today every individual has an account in about three social networks, we are aware of such networks, such as blogs and forums, where there is an average of 120,000 blogs created daily.